Doubled so everyone can race! 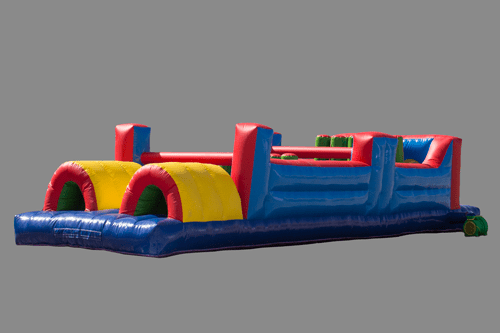 Our 35 foot obstacle course is a blast and challenges all who think they can beat the party's fastest time! Race against another and see who's best!